The Central Executive of the Jamaica Labour Party (JLP) says the Auditor General’s report into the operations at Petrojam must be placed before the Public Accounts Committee of Parliament as soon as is practically possible. In audio obtained exclusively by Nationwide News, Prime Minister Andrew Holness stated it was important to have the report reviewed quickly. The Central Executive’s meeting was held yesterday at the party’s Belmont Road Headquarters. In a press release, the Central Executive says it met and considered the matters in the Auditor General’s report. The Central Executive is welcoming the report into Petrojam that covers the period 2013 to 2018. Mr. Holness asserted that his administration has been transparent during the Auditor General’s probe. Prime Minister Andrew Holness, speaking at a meeting of the JLP’s Central Executive yesterday. The Central Executive affirmed that the maintenance of public trust in public institutions is crucial to the proper functioning of our democracy. It also reaffirmed its position that instances of misuse of public funds and nepotism should not go unsanctioned. The Central Executive says it supports the actions taken by the Leader of the JLP and Prime Minister Holness and looks forward to his announcement on further actions to be taken. 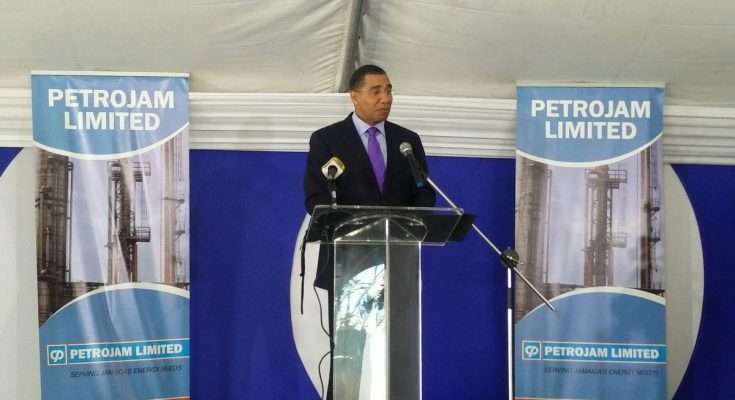 The Auditor General’s report into the operations at Petrojam is also expected to be on the agenda at the Prime Minister’s press conference this morning.